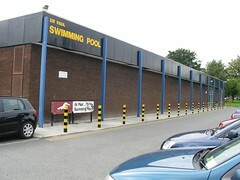 Extra funding of €395,000 has been allocated to the De Paul swimming pool at St Vincent`s Centre on the Navan Road by the Department of Transport, Tourism & Sport to help the Daughters of Charity to complete refurbishment works and re-open the pool. The additional funding of €395,000 is being provided by the Department of Transport, Tourism & Sport under the Local Authority Swimming Pool Programme. It comes on top of the €865,000 already announced, and brings total funding to €1.3 million. The Daughters of Charity has provided additional funding of its own. The Department made an exceptional case for the pool because it has historically been used extensively by people with intellectual disabilities. The allocation will pay for essential refurbishment works and reduce operating costs. Although the work was due to start some time ago, legal issues meant that refurbishment had to be delayed. In the meantime, the cost of restoring and re-opening the pool increased substantially. “The extra funding has been allocated because this is an exceptional case. When it was last open, the pool was particularly popular for people with intellectual disabilities. However, it had to be closed until refurbishment work was possible,” Minister for Transport, Tourism & Sport Leo Varadkar said.